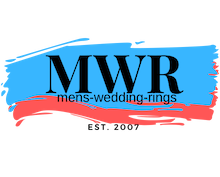 A modern material is infused with rich history in this men's tungsten wedding ring. 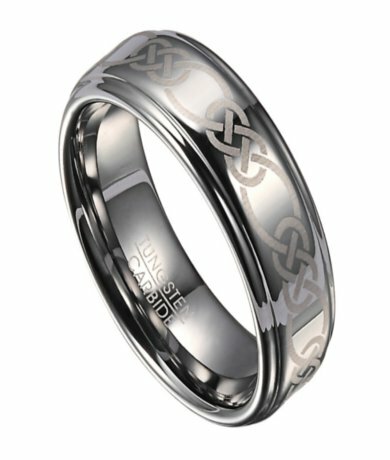 Equally suitable as a contemporary wedding band or engagement ring, this men's ring offers a Celtic knot design laser engraved eternity style around the band. A polished finish and flat profile complete this handsome 8mm comfort fit ring.Comfort-fit rings should be ordered 1/2 size smaller! I love this ring and so does my Husband! We are celebrating our 10 year Wedding Anniversary in September, my Husband didn't want a new ring, but since he bought me new rings I bought this to surprise him, I'm so happy I did!